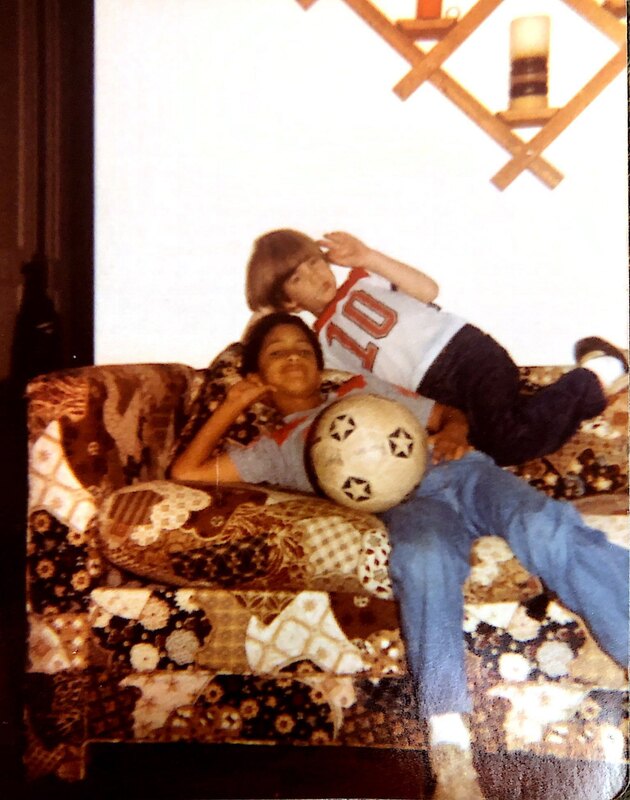 Growing up in Minneapolis in the early ’80s, Aaron Ryan rarely saw any black and brown boys and girls who looked like him playing soccer. His introduction to the sport would come almost by chance. His mother, Peggy Ryan, was a part-time student at the University of Minnesota studying economics; she was also the super of the apartment building that they lived in, and Ryan would become fast friends with a neighbor who loved the game — they played soccer day and night, much to the neighbors’ chagrin. Soon, the names Karl-Heinz Granitza, a German soccer player, and Tino Lettieri, who played for the Minnesota Kicks of the old North American Soccer League, became part of his 6-year-old world, and a passion for the sport was born. Aaron Ryan, Chief Operating Officer at Relevent Sports, will look to expand the platform of the world’s most storied soccer clubs — similar to how the ’92 Dream Team inspired basketball globally. Ryan would grow with the game, playing youth soccer in various leagues. He later attended Miami University in Ohio, where he’d play for two years as a left-footed defender, a rare commodity in soccer. In the years that followed, Ryan, who received a bachelor’s degree in political science from MU and an MBA from Cornell, would take what would be a two-decade hiatus from soccer, starting in 1996 when he got a job at the NBA. Over the course of 22 years at the NBA, Ryan, now 44, would hold a number of jobs, the most recent being senior vice president of the NBA’s 2K league. Only until the game he left came calling again. Aaron Ryan (back row, third from right) is all smiles with his U11 American Youth Soccer Organization team. Ryan’s childhood friend, Josh (right), was the one who turned him on to soccer. The Undefeated caught up with Ryan to talk about his path to Relevent, and what’s next in his new role. What was the biggest motivator to make this move now? It’s always a hard decision when you’ve been a part of what we call the ‘NBA family’ for as long as I have been. I’ve learned a lot and built some incredibly strong relationships. I really think that there’s three amazing trends in sports and entertainment. First, it’s the power of the globalization of basketball, second is the unique and emerging force of esports and third is the global growth and access to soccer, specifically in North America and Asia. These are areas of the industry that I have honed in on. And so, any opportunity to grow and learn and expand my participation in any of those I was open to. But this one very specifically resonated given my history with soccer. You’ve held a number of positions at the NBA. What were some of your biggest observations over your 22 years there? I was at the NBA when we launched NBA.com [in 1999], and I was a part of some of the early blog campaigns for the playoffs. Seeing us build this narrative with our fans and allow our players to be some of the earliest adopters to social media was an incredible chapter and continues to be sort of the legacy of the NBA in terms of digital innovation. The other major experience was the global growth of the game. Having sort of held the torch for USA Basketball for six years, I gained a greater appreciation for how pivotal the  Dream Team moment really was for the sport. It showed the world the greatest players and the greatest team on the greatest stage and in sports, but it also inspired a generation of international players that we’ve now come to know and love and who are part of the NBA family. I’m not sure that would’ve happened as fast as it did had it not been for that moment in time. And so, being a part of an organization that was really at that sort of tip-off point for the globalization of the game is one of my most cherished experiences. Did you have a seminal moment in your life that might’ve put you on this career path? I certainly did. My lifetime mentor is Andy Thompson, who played at the University of Minnesota; his brother is [former Los Angeles Laker] Mychal Thompson, and his nephew is Klay Thompson. As a longtime lead producer at NBA Entertainment, he exposed me to the business, and for a long time during my teenage years, I was getting blooper reels and Inside Stuff reruns on VHS from him. And so, the seed was planted quite early in my life when I joined the NBA in ’96, which was right on that edge of the launch of the WNBA, which was a big part of the growth of the league. I was a nighttime logger [documenting] history, and I ended up being the lead [logger] on the ’98 Jordan documentary project, which is now going to see the light of day next year on Netflix. So, it’s crazy to think one of the most impactful projects early in my career is now for the first time going to see the light of day. I could tell that we were on the verge of something really special. So now you bring two decades’ worth of experience to Relevent, a company that’s about growing soccer internationally and in America. This must feel like a new beginning for you. Most definitely. The task is very clear: to bring the most storied clubs in global soccer and bringing access to be inspired the same way we did with the Dream Team. I envision bringing my daughter to an ICC game with Liverpool at some point and that moment potentially being a trigger for lifelong inspiration. We want to bring the greatest soccer to our country on a regular basis, and secondly, we want to build programs that give people not only access as a viewer, but also to touch a ball and experience the joy of playing the game. Relevent wants to have a hand in bringing the game to underserved communities as well. What is that effort looking like? We want to push alternative programs centered around bringing access to the game to Hispanic Americans around the country, for example. We want to provide access to free clinics, scouting, programs, and coaches clinics for areas of the country and communities within our cities that don’t have soccer on their mind. For us, it has to be an opportunity to teach life skills in a way that I experienced as a young kid growing up in Minneapolis. As a kid, you said you didn’t see many people like you playing soccer. That’s not the case for today’s young fan. It’s a different time – but fans still want to get close to the players they love. 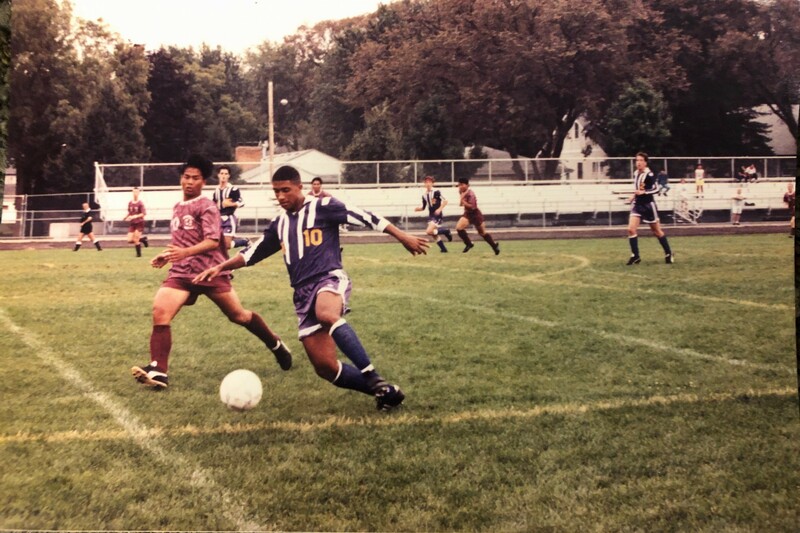 When I was 17 and moved over to a club where Tony Sanneh and Manny Lagos were just a third of a generation ahead of me, both went on to play for the [U.S.] national team and both had careers in MLS, but overseas. Those were two black and brown kids that I saw excel at the game early. And so it was local community heroes that actually did it for me. It wasn’t necessarily the global stars. What lessons might you take from your old job that you will look to implement at Relevent? Well, I know culture matters — the need to have a great focus on how you’re going to live out the vision of whoever it is you’re working for. In our case, [International Champions Cup] founder Stephen Ross has set a very awesome and ambitious vision for this company. We won a major role in how we grow the game of soccer in the world, but specifically in North America and Asia. So as we go forward, it’s really about setting that vision, establishing a culture and a cadence within this building that everybody’s enrolled in. We’ve seen the globalization of sport bringing professional athletes together — including soccer and basketball players. Social media has helped with that too. I would even take it a step further. Yes, I just saw Joel Embiid take a ball to his foot the other day and I think he started juggling five or six times before he went ahead and just dunked it in the layup line. I’m also seeing it with viral video from folks like Chris Paul and really getting behind his little Chris and his soccer team. We also see a lot of NBA players’ kids who play soccer. I think there is a unique intersection, but there’s also discrete elements of soccer that we don’t need to borrow everything that’s worked for the NBA. We need to find our unique voice in lifestyle content and the way we express ourselves. Liverpool star Mohamed Salah was a featured attraction during the International Champions Cup last summer at Michigan Stadium in Ann Arbor. You’re close to the game, so you are well aware that there’s an ugly narrative making headlines of black players facing racist taunts, slurs and other abuse – particularly in Europe. You concerned about that at all as you work to grow the game’s presence here? I do come from an organization that leads with integrity and stays in the conversation socially and you see it in narratives around fair play. I certainly think there is a narrative around acceptance and tolerance in soccer and I expect Relevent as an organization to play its appropriate role. 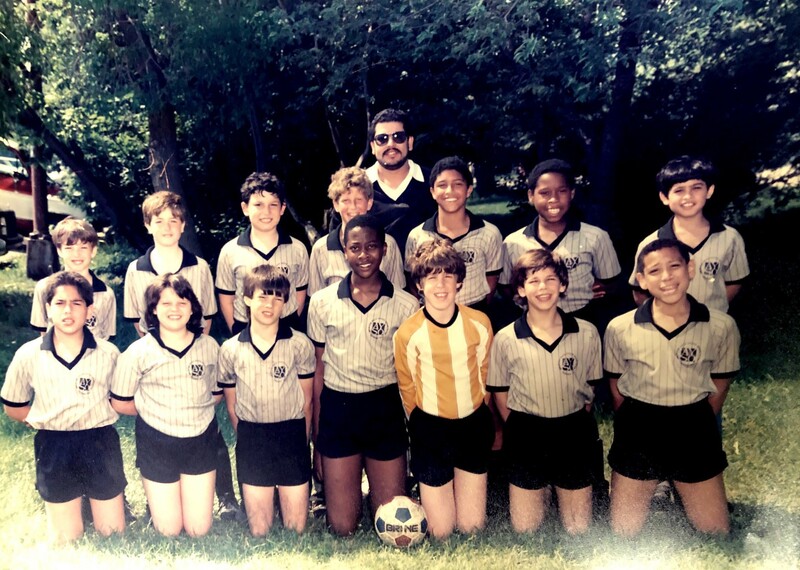 For me growing up, I played soccer in a city environment, and oftentimes found myself going to tournaments well outside of city limits, where our team might be the only team with two or three black or brown kids on it. And so, you would feel it; I can’t recall a specific direct sort of confrontation, but you definitely felt out of place. Having gone to Miami of Ohio in the middle of Oxford, Ohio, the game of soccer was a great place to escape after feeling underrepresented, because I had an identity as a soccer player. As part of the leadership here, I fully believe we should be a part of that dialogue.